We develop products for parents in motion. At as early a stage as possible, we include families so we get information about what is really important. Having families with us from the start allows us to focus on the right things, and to develop things that are in demand. In the next step, our products undergo an extensive medical examination to be absolutely certain that our design is safe. We consult our medical board of advice and if possible interest groups. Together they ensure that our products are 100 % safe for both children and adults. Finally, we put our products through rigorous tests by independent testing institutes. This means we can ensure that we always deliver functionally smart, approved products in accordance with medical expertise and quality assurance. Our baby carrier grows with the child. We have been in dialogue with medical experts and created two different positions based on the child’s changing needs. When the baby is born, it has spent 9 months in the womb. To keep warm, facilitate digestion and cope with the lack of space, the back is shaped like a C. In order to have as little pressure on the child’s hips, it can be good for the baby to be carried in the so-called M-position. 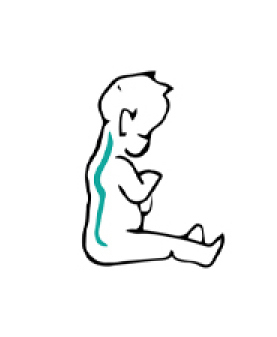 The Newborn position that will be used during the first 6 months, or until the baby can sit up on its own, gives the child’s hips and spine support in an ergonomic way. That’s why our baby carriers are recommended, inter alia, by the International Hip Dysplasia Institute as a safe product. When the child is a little older and can sit up without active support, you can safely start using the hip seat. The child’s spine has developed more into the s-shape that we adults have. Put simply, the upper curve of the ‘s’ is in place. In this phase, many families start using the stroller, and in the same way, you can make the switch to our hip seat. The hip seat gives the best weight support, which enables you as an adult to wear it for a longer period of time without worrying about the child’s or your own ergonomics. 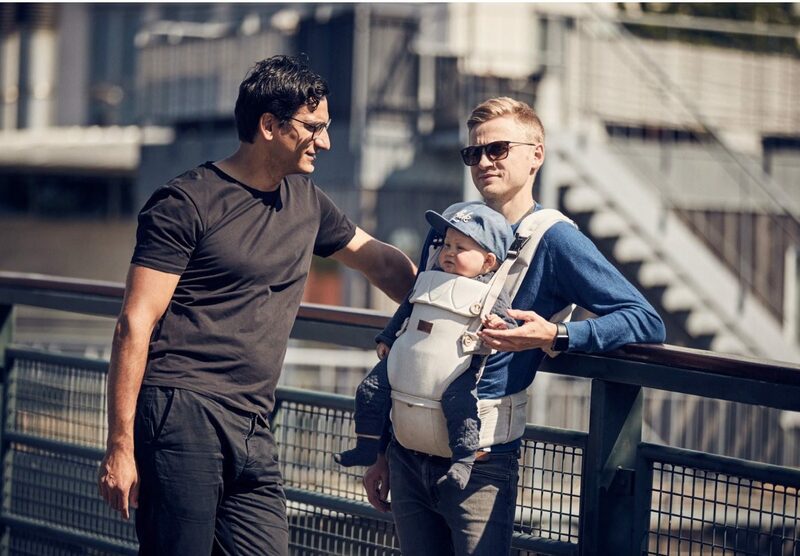 Our baby carriers are also tested and approved according to the European EN13209 standard for baby carriers. SleepCarrier is engineered to rock babies to sleep and can be used to move babies around and lay them down without waking them. We usually say that SleepCarrier is a smarter babynest, because it has several special features related to the child’s sleep. SleepCarrier has undergone and passed tough standardization requirements. It has been carefully safety tested and approved according to the standard for soft carrycots in the EU EN1466. This makes SleepCarrier a safer option for your child compared to many other sleeping products on the market.